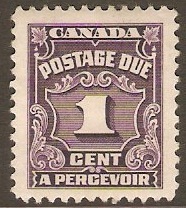 Canada 1935 1c Violet Postage Due. SGD18. Mounted mint 1935 1c Violet Postage Due Stamp. SGD18. 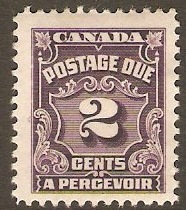 Canada 1935 2c Violet Postage Due. SGD19. Mounted mint 1935 2c Violet Postage Due Stamp. SGD19. 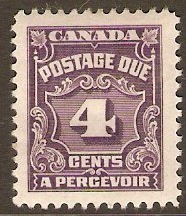 Canada 1935 4c Violet Postage Due. SGD21. Mounted mint 1935 4c Violet Postage Due Stamp. SGD21. 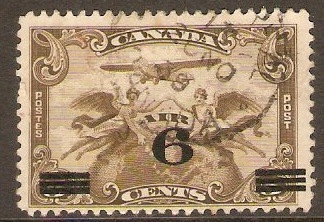 Canada 1932 6c on 5c Olive-brown Air Stamp. SG313. Used 1932 6c on 5c Olive-brown Air Stamp. SG313. 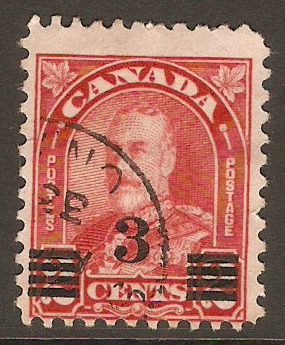 Canada 1932 3c on 2c Scarlet - Die II. SG314a. Fine used 1932 3c on 2c Scarlet - Die II. SG314a. Envelope clipping with SARNIA, ONTARIO cds. Fine used 1932 3c on 2c Scarlet - Die II. SG314a. Canada 1932 3c. Scarlet. SG315. Used 1932 3c. Scarlet. SG315. Stamp for the Ottawa Conference. Design shows King George V.
Canada 1932 5c. Blue. SG316. Fine Used 1932 5c. Blue. SG316. Stamp for the Ottawa Conference. Design shows the Prince of Wales. 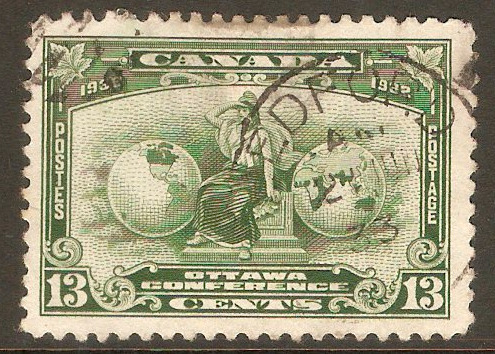 Canada 1932 13c Green. SG317. Fine Used 1932 13c Green. SG317. Stamp for the Ottawa Conference. Design shows an Allegory of the British Empire. Canada 1932 King George V definitive set. SG319-SG325. Used 1932 King George V definitive set. SG319-SG325.